Alongside with milk, the segment also includes yogurt and curdled milk products, cheese and cream cheese. The worldwide revenue of US$633 billion in 2018 is expected to increase to US$811 billion by 2023. In the Statista Consumer Market Outlook Segment Reports our analysts compile an overview of the segment and trends, market sizes, regional development, and key players. An overview of all Outlook Reports can be found here. 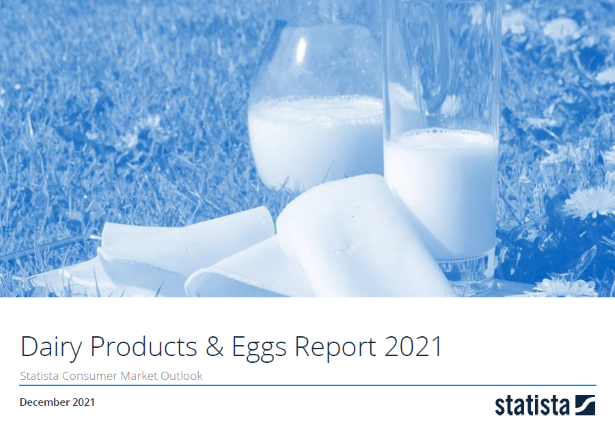 This report from the series of Consumer Market Outlook segment reports gives an overview of the Milk Products market from an international perspective. You can find further information on the topic on Consumer Market Outlook/Milk Products.